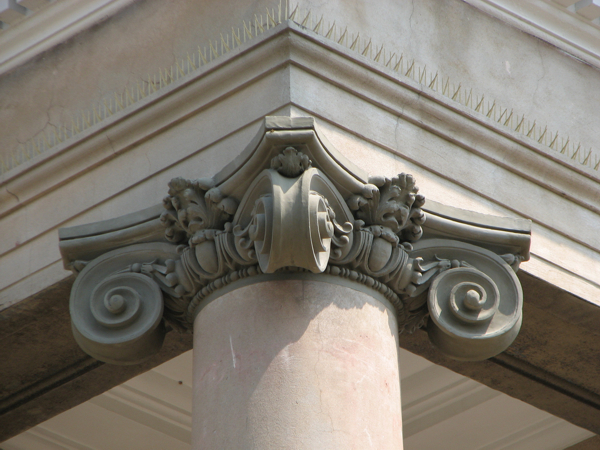 GFRC (glass fiber reinforced concrete) can be used wherever a light, strong, water resistant material is indicated to replicate architectural or ornamental structures such as cornices, columns and capitals. 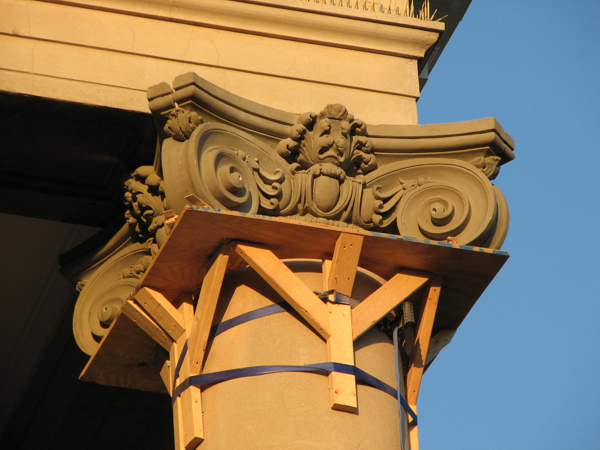 The process begins with forming a mold from a salvaged original. 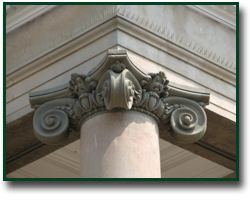 A design mix is selected which is composed of glass fibers, cement, aggregates, and polymers. 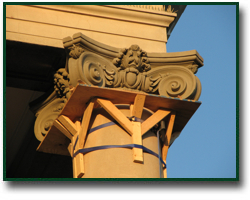 The finished product is stronger and lighter than concrete and will weather better than precast. 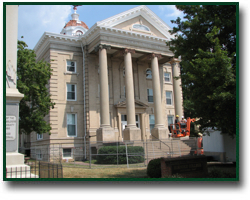 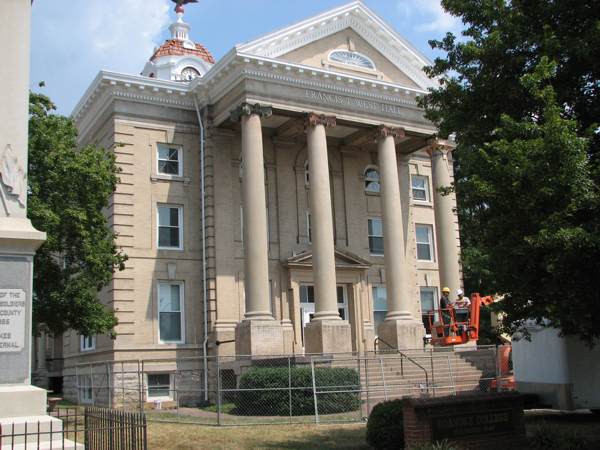 These photos show 100 year old failed terra cotta capitals on a Virginia courthouse where Keystone Waterproofing successfully installed GFRC replacements.